Jaylen Brown has put a few people on posters already - and from the looks of things, the list is going to get longer, fast. 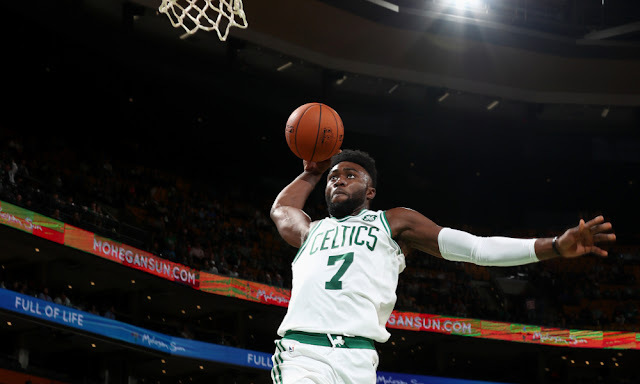 Join embedded Boston Celtics reporter Marc D'Amico as he goes over Jaylen's dunks and some of the higher-profile victims they've been unleashed on. They don't just wax nostalgic about the bodies Brown caught - they dive into what it took to open lanes to the rack to make it happen. Enjoy!